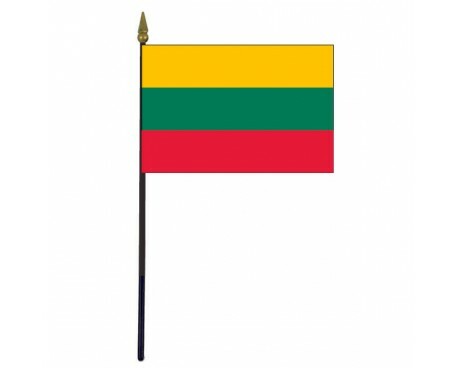 Lithuania Stick Flag - 4x6"
Two Lithuania flags are currently used to represent the country. One of them is an ancient flag that dates back to the medieval period, but the other is significantly more recent and dates back only to the early 20th century. 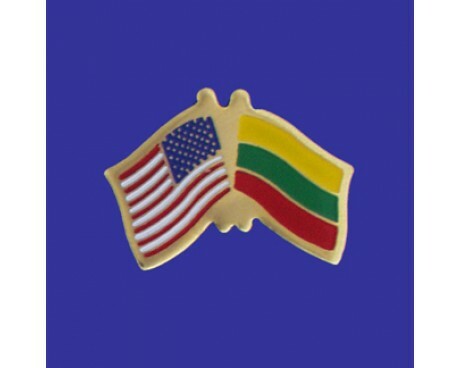 The national flag of Lithuania is a horizontal tricolor of yellow, green, and blue. The yellow stripe represents the nation's prosperity as well as the light of the sun. The green band stands for liberty, hope, and the nation's many forests. The red band represents the courage and blood of the people who have died for Lithuania. The state flag is significantly older, and it draws of the nation's medieval past. It displays a mounted knight in pursuit of his foe on a red field. The flag follows the same design as the nation's ancient coat of arms, so its use in the modern day represents a strong link to the nation's history. Lithuania's first flag was the state flag, which is known to have been in use in 1410 at the Battle of Grunwald, which helped to secure Lithuania's status as an independent nation and led to the growth of the Poland-Lithuania alliance into a major political power in Europe. Lithuanians used it as their war banner even after Lithuania joined with Poland to form the Polish-Lithuanian Commonwealth. 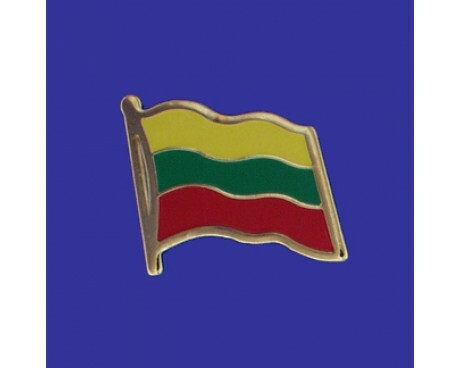 The national flag of Lithuania is a significantly more recent development. It was favored over the traditional banner for both symbolic and practical reasons during a conference of Lithuanian nationalists in 1905. Lithuania was part of the Russian empire at the time, so the new flag could not actually be adopted until the country gained its independence in 1918. The new flag was controversial at the time, but it was widely used until Lithuania became part of the Soviet sphere of influence in the middle of the 20th century. The tricolor was replaced with a traditional communist flag featuring a red field with a crossed hammer and sickle in the canton. The tricolor came into use once again when the Soviet Union went into decline. Lithuania readopted its old flag several years before it regained its full independence from the Soviet Union, and it has used it ever since. It reauthorized the ancient war banner for use as a state flag in 2004, and now both Lithuania flags are in common use.